The moment came in 2002. 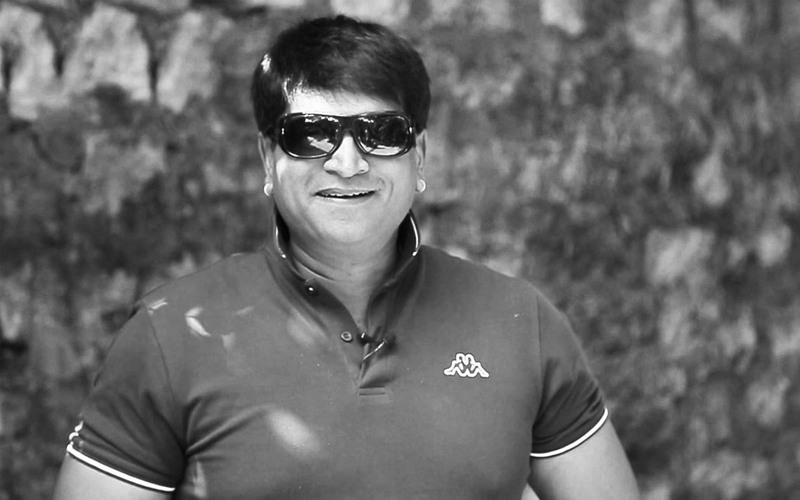 Already acclaimed as a good actor with a string of hits to his credit, Ravi Babu was now ready to launch himself as a film-director that would showcase his prowess as a new-age film-maker. 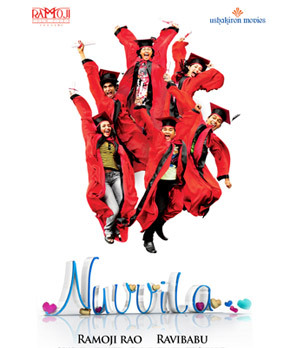 The film that heralded the talent of Ravi Babu to Tollywood and beyond was "Allari" (Mischief). 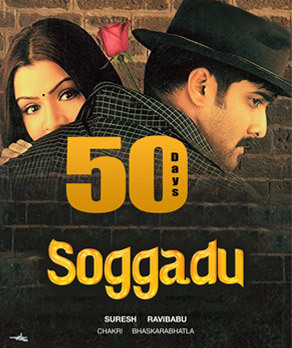 Shot in 45 days on a bootstrapping budget, it brought in oodles of freshness and new imagery to Telugu Cinema. 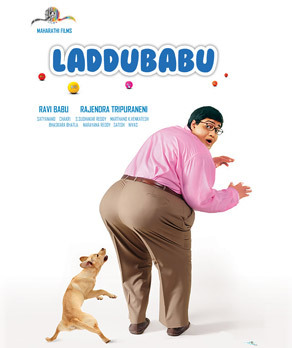 The film had a coming-of-age theme and a host of new faces for the cast Because of his superior experience as an ad-film-maker, Ravi Babu created funny urban imagery with colourful visuals and commendable performances by many first-timers set to foot-tapping music by Paul J.
Ravibabu as a producer with a versatile range of films spanning all genres. He has directed 12 films, produced 5 of them, acted in some of them and written all of them. 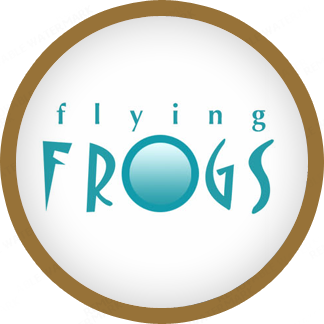 In the year 1999 he decided to have his own production house and started Flying Frogs, initially to produce television commercials but would later become a feature film production house. When the calling came from Tollywood, film-makers casting Ravi Babu had no idea what his years of roughing it out in America made him out to be, nor did they have any inkling of his formidable educational and technical background in film-making. 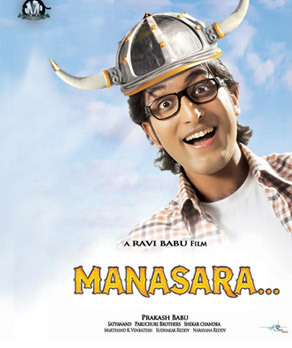 But when they finally cast him, they realised Ravi Babu was an actor moulded in sterner and multiple influences. His first films were "Chala Bagundi" directed by EVV Satyanarayana and "Sivayya" produced by D. Ramanaidu where he played a main villain in both the fims. 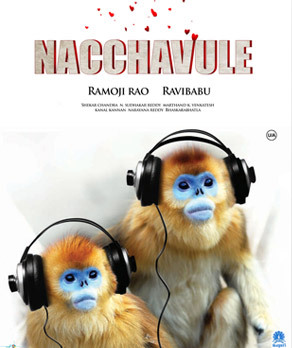 Both the films were major hits and offers started pouring in for Ravi Babu as the bad guy. He went on to act in more than 75 films till date with films like "Murari" "Anasuya" "13B" "Docheyy" "Swami Ra Ra" and "Seethamma Vaakitlo Sirimalle Chettu" fetching critical acclaim. 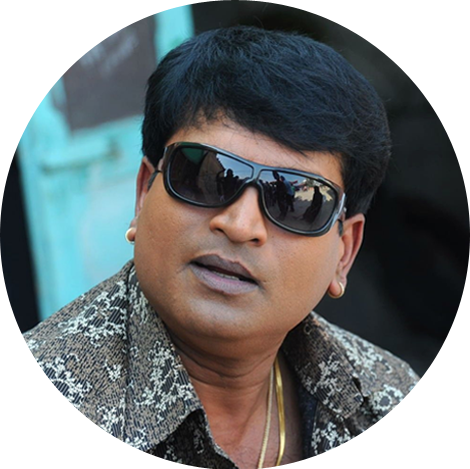 Ravi Babu (born as Ravi Thammareddy) is the son of veteran Telugu film actor Chalapathi Rao Thammareddy. Chalapathi Rao is one of the most well-known actors in Telugu films and has acted in over 1200 films during a career spanning over 48years. 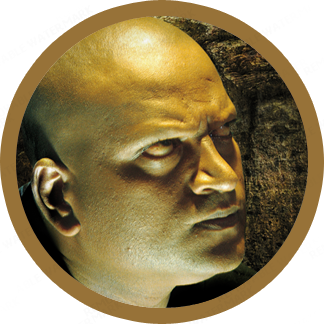 As a versatile actor, he has essayed many roles as a villain, comic villain, character actor and comedian traversing portrayals as a cop, father, friend, good samaritan, punching bag, sounding board, bad guy, funny guy and so on. Chalapathi Rao is perhaps the only surviving actor who has starred in films criss-crossing all the three generations of Tollywood’s reigning film-hero families. Ravi Babu is married to Tanuja, a school teacher. They have two kids and lives in Hyderabad. As a self-confessed movie buff, Ravi Babu admits to four major influences in his life. A viewing of David Fincher’s film Seven in New York made him realise how much he wanted to make movies. David Fincher’s films take place somewhere beyond our edge – but recognisably extend into our nightmares creating plots based on such diverse subjects as film noir, science fiction, contemporary phenomena with an ability to cross over from one to another. His films were never dull, and always had a technical correctness about them. 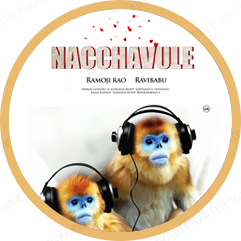 Ravi Babu’s imagery has the influence of the robustness of a Fincher’s mastery over the medium. The second influence was Sylvester Stallone – the biggest movie star of our times. A creative powerhouse who has built multiple franchises like "Rocky", "Rambo", "Expendables" and continued to expand on them to remain ever-relevant. Ravi Babu worships Stallone for his sheer ability to come back stronger every time he failed. 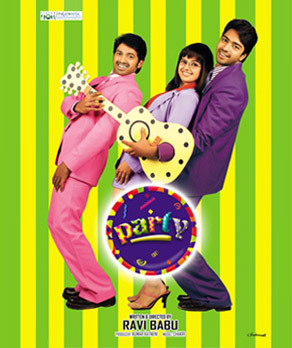 After the debacle of the film Party, Ravi Babu was staring at the grim prospect of unemployment for a while. 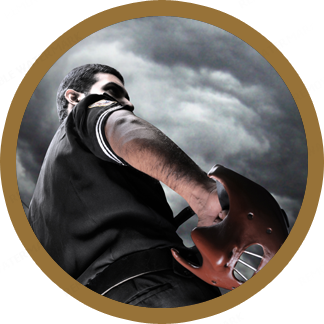 But he came back with a bang with the cult-hit film Anasuya. Ravi Babu is an avid gymmer and works out six days a week. When he entered the industry with 18 inch biceps every hero wanted him as the villain in their films. Ravi dedicates his workout ethic to Arnold Schwarzenegger and the film Conan the Barbarian. It was seeing Arnold in Conan that made Ravi Babu join a gym. Bruce Lee, another influence Ravi Babu swears by, is the greatest of martial arts exponents who has influenced generations of film-makers to make films based on martial arts. This influence made Ravi Babu make the film Manasara based on the mother of all martial arts, Kalaripayittu. Stay connected with me for all the latest updates and news about my movies; like, follow and subscribe to my pages below.